Some days we just forget. We forget the house keys. We forget the directions. We forget to return a friend's phone call. We forget why we went to the grocery store in the first place. And sometimes, we forget that we belong to Jesus. It's not intentional, but it happens. The church in Corinth had forgotten. They were divisive. Insensitive. Argumentative. Rebellious. They listened to false teachers who questioned the message of Christ and who accused Paul of being unreliable and a false apostle. Paul knew the Corinthian church needed a reminder, so he wrote a heartfelt letter defending his character, ministry, and message. The letter reminds the Corinthians to turn from their worldly ways and to think and live in ways that honor God. Likewise, Paul's letter encourages us to look at our own lives so we won't forget what really matters. The Life Lessons with Max Lucado series brings the Bible to life in twelve lessons filled with intriguing questions, inspirational stories, and poignant reflections to take you deeper into God's Word. 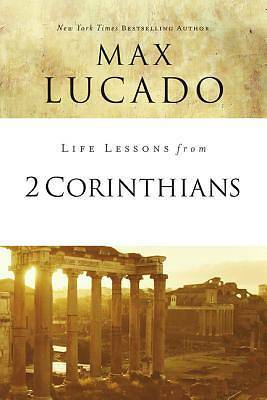 Each lesson in this updated edition of the bestselling series includes an opening reflection, a description of the context in which the passage was written, an excerpt of the text (from the New International and New King James versions), exploration and reflection questions on the passage, inspirational thoughts on the theme from Max Lucado, and a closing Life Lessons takeaway and personal devotion. The Life Lessons with Max Lucado series is ideal for use in both a small-group setting or for individual study.